New to beekeeping? This is a basic introduction to beekeeping course. If you are thinking about getting bees and need more information, or are planning on getting bees but aren’t really sure where to start, this is for you! We cover what you might expect your first year, options for getting bees and equipment, what things might cost, as well as basic beekeeping terminology and information. 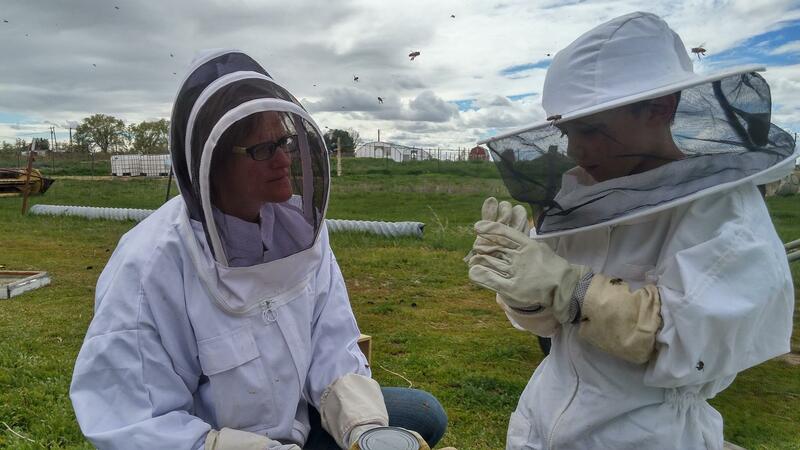 You should come away with a pretty good understanding of what will be involved and how much work beekeeping will be, and what you will need and need to know to get started! You will have lots of opportunity to ask questions and will have the opportunity to try on bee suites, veils, gloves, etc. and handle hives and equipment. No live bees in this class. We have had experienced beekeepers sit in on this class and come away saying they were surprised how much they learned! Cost is $15/person or $25/couple. You must preregister. Click here to Register!